Experts differ in their recommendations about when or how often women should have mammograms. The truth is 1 out of 6 women will find something abnormal in their mammogram results. That is why many doctors emphasize the importance in detecting these abnormalities early. 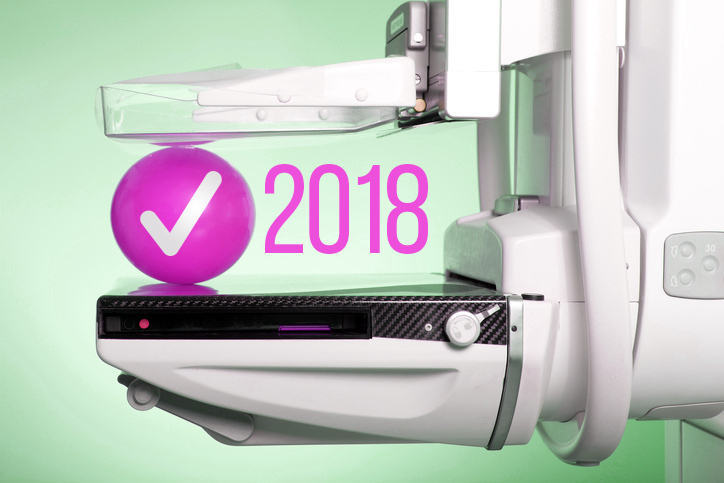 Most doctors believe a combination of regular check-ups, mammogram screening and self-breast exams are essential to early detection of breast cancer. The following guidelines are endorsed by 11 major medical organizations including National Cancer Institute, American Medical Association, National Medical Association, American Academy of Family Physicians, American College of Radiology, and others. you should have a mammogram every 1 to 2 years. you should have a mammogram every year. These guidelines apply only to women who do not have any symptoms or signs of breast cancer, such as a lump or other change in the breast. If you have any symptoms, you should contact your doctor immediately. It is very important to have your mammogram procedure done by a qualified technologist, and read by a qualified radiologist. perform self-exam of the breast once a month. have a clinical breast exam by a physician every 3 years, and once a year after age 40 years. should have their first, baseline mammogram performed. perform a mammogram every 1-2 years. have a mammogram once a year. Women with a personal or family history of breast tumors must work with their physicians and schedule more frequent exams. However, breast tissue in younger women (younger than 30 years) tends to be denser, and this makes it more difficult to detect small changes in the breast on a mammogram. Such women may be screened for breast tumors by means of ultrasound once every 2-3 years. You can read more from the American Cancer Society's screening recommendations by age here.